Our Curtain e-locker is an all-round solution, not only it can apply to the share drive, but it also can extend and apply to different systems and applications. For example, PDM, PLM, ERP, DMS and even Self-developed Systems. Many manufacturing companies are using Product lifecycle management (PLM) / Product data management (PDM) system to manage their data, processes, and business systems throughout the entire lifecycle of a product efficiently and cost-effectively, from ideation, design and manufacture, through service and disposal. However, when authorized users access the data stored in the system, the data can be leaked out of the company. 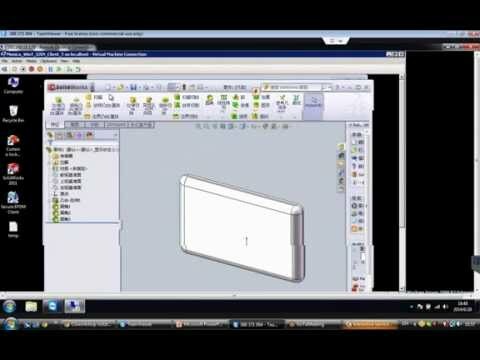 The demo movie shown here demonstrate how Curtain e-locker works with PLM/PDM system to enhance the data security. 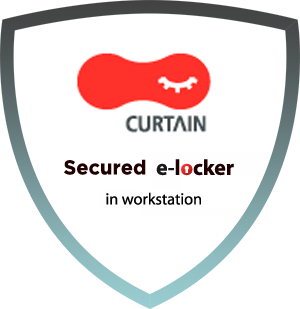 Under Curtain e-locker protection, users can open/edit files in allowed areas. Files cannot be saved, exported, sent to external parties if it is not allowed. ERP system is one of the core IT systems in a company. It stores many business data in the system, from financial reports to bill of materials. Most data/report is classified as confidential. If the information is leaked to competitors, it may be harmful to the company. 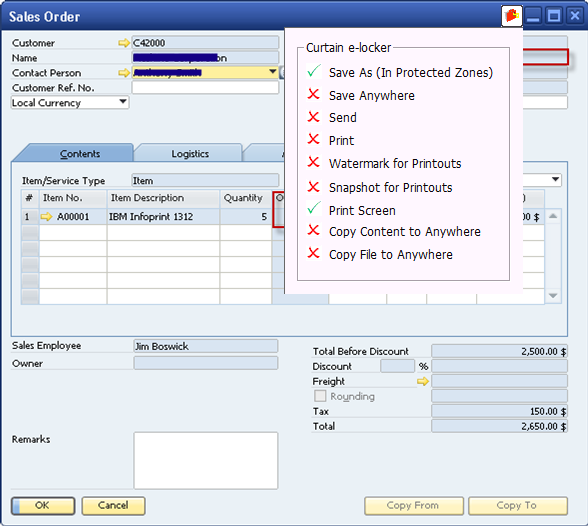 Curtain e-locker has been integrated to ERP systems. Authorized users can do what they need to do. However, they cannot save/export/send/print the information out without management authorization. Document management system (DMS) is used to track, manage and store documents with capability of versioning control and history tracking. The system can greatly increase the speed of data flow within organization. However, when huge amount of electronic documents are stored centrally, definitely security is a concern. How to prevent unauthorized usage of the documents become a challenge. 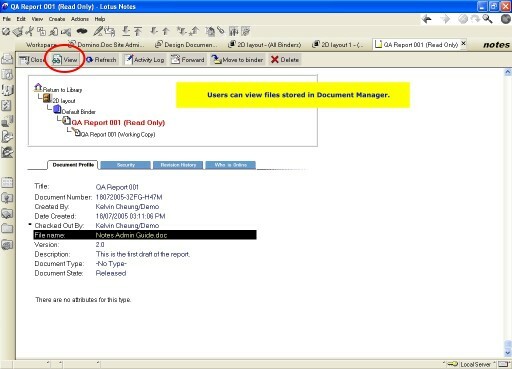 With Curtain e-locker protection, management can control users how to use the documents. They cannot copy/download/send the documents to unauthorized locations. Here are some examples DMSs with Curtain e-locker integrated. We have been helping many companies to integrate security functions of Curtain e-locker to their own systems. If you need further information, please contact us.